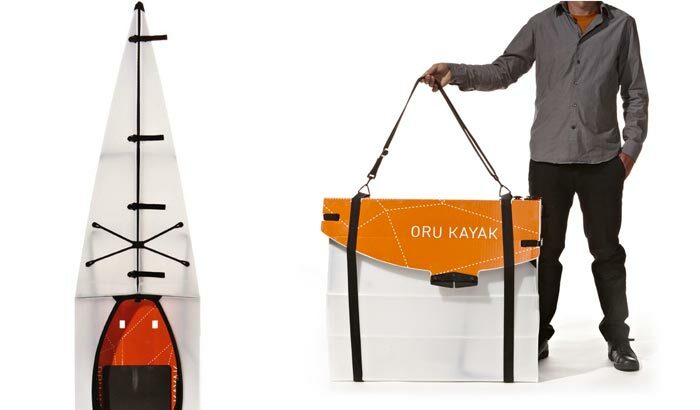 Oru Kayak is a foldable kayak that was inspired by the traditional Japanese art of origami. 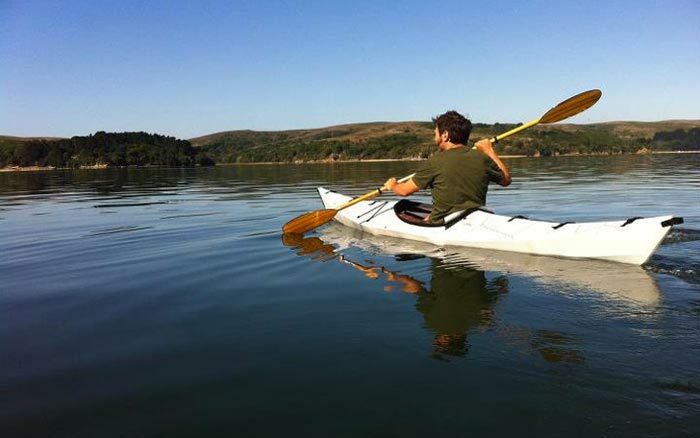 The designer Anton Willis came to the idea to make an origami kayak that would make transportation and storage a lot easier. 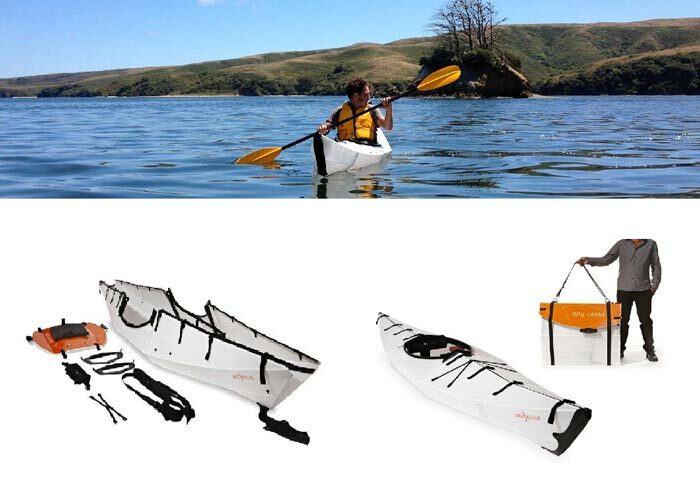 The entire kayak simply folds into a compact case that can also accommodate life vests, paddles and further accessories. 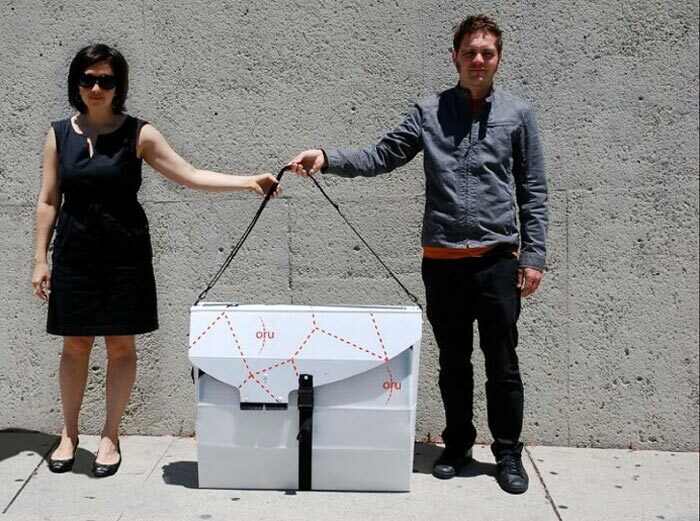 In addition, it is made of lightweight corrugated polyethylene, which makes it even easier to carry around and store. 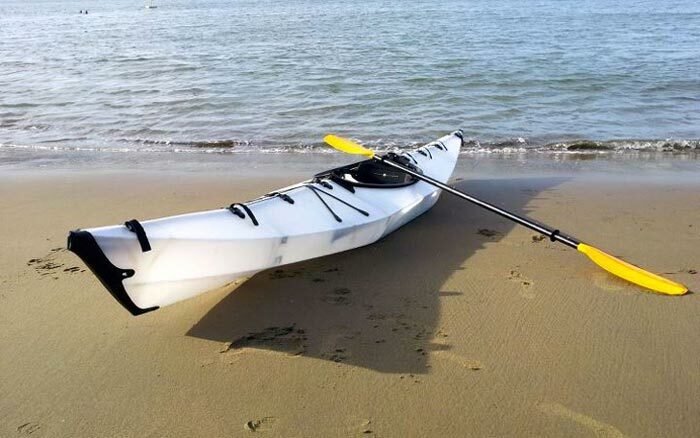 The kayak can hold up to 250lbs of weight, so it should be more than enough for one person and several accessories. 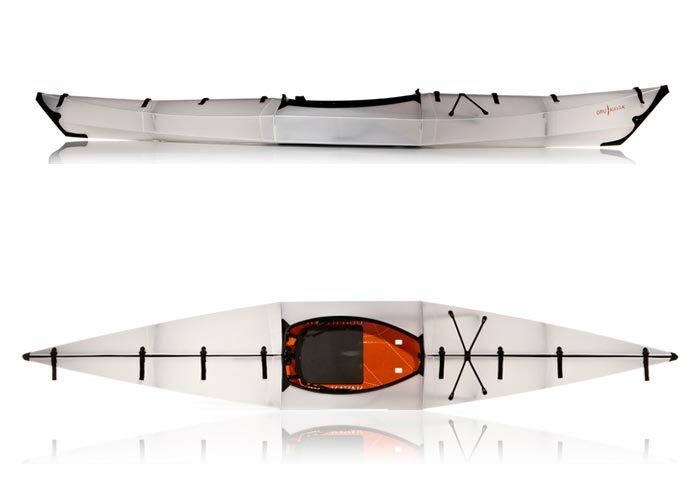 The dimensions of the Oru Kayak are 12 feet in length and 25 inches in width. 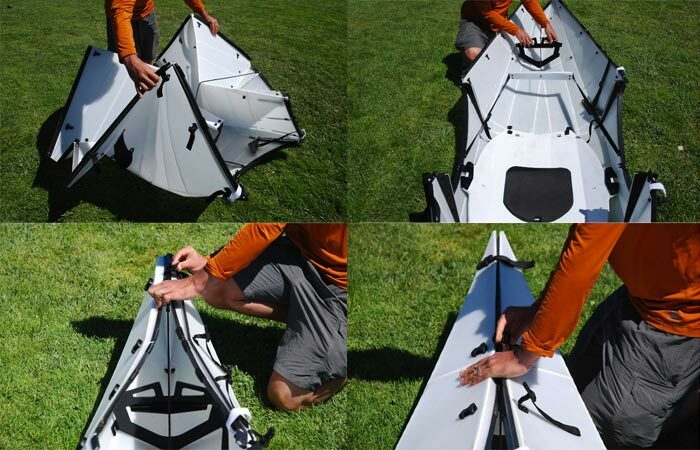 When folded, the kayak fits into a 25lb case with the dimensions of only 33” x 29” x 9”. 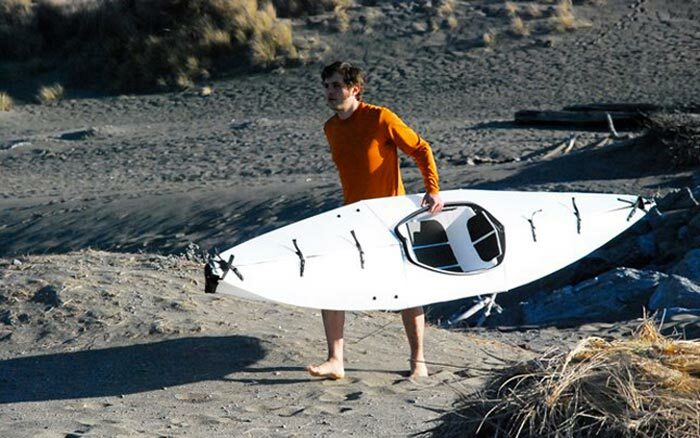 The body is waterproof and extremely durable, but in case it somehow gets torn, the skin is detachable and it can easily get replaced under warranty.